Grande Dame is a Visual Maverick and Professional Free Spirit living on the UK’s South Coast. 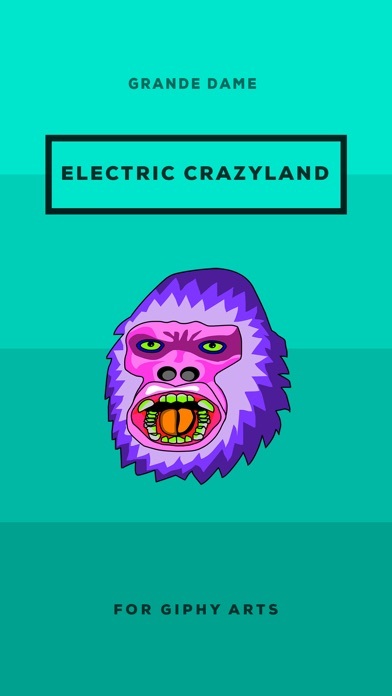 Feel the power of color with these 18 rad, bad & totally mad, psychedelic animated stickers by Grande Dame. Brought to you by GIPHY Arts. 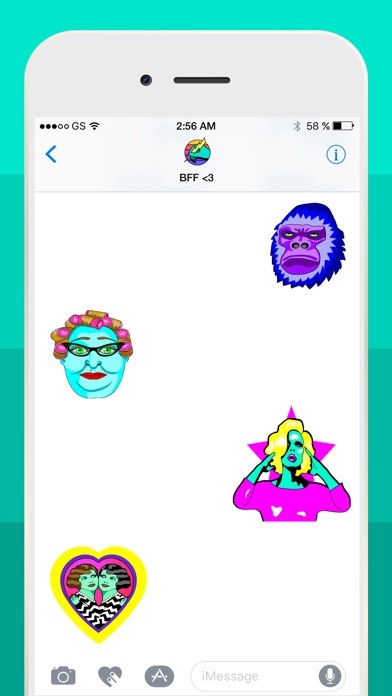 Release Notes: New and improved stickers! its great but i really wish the gorilla was bigger lol edit: AND AFTER THIS UPDATE IT IS YAY!!!!! These stickers have won me the respect and admiration of my peers. Women find me more attractive now. And my boss just have met a huge raise! 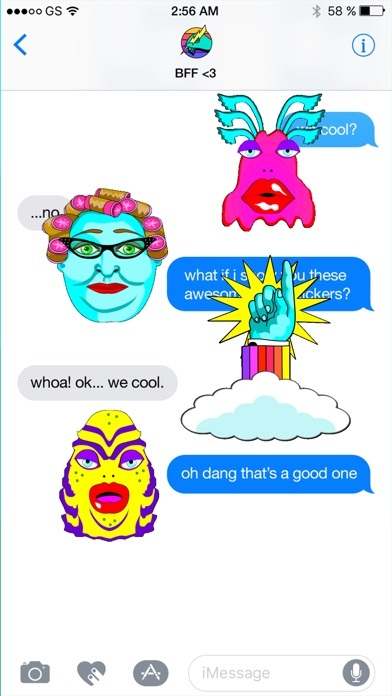 I would recommend these stickers to anyone whose life (and text messages) is dull and dreary. Purchased and shows as installed but is not available to use. Took sometime working on my phone but got it to work. The App Creator should add instructions on how to set it up on your phone on the App page. Finally!!! Apple commercial was driving me mad trying to find these stickers! Gorgeously trippy little masterworks of stickery goodness. I'd give them eleven stars if I could. 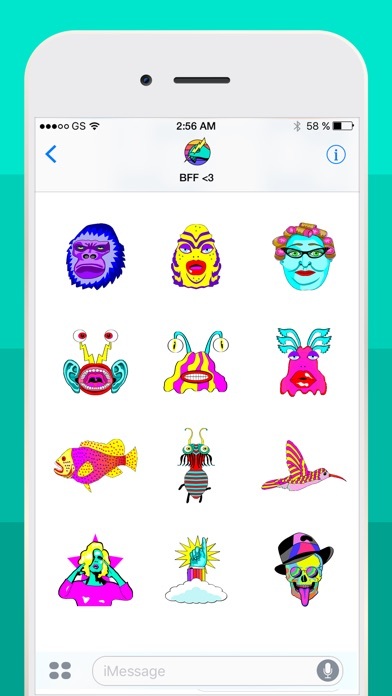 Please feature more work by Grande Dame, her stickers are amazing! Can't get enough of them, wish there was more. Love how psychedelic and colorful these stickers are!